There are a ton of new tech gadgets coming out in the market. Sometimes, all it takes is as little as a month for some new line of electronic gadgets to gain the public eye. This is why it is essential that you learn how to hold your horses and take a long, hard look at what you're getting before you commit to a purchase. 1. Will I Make Money Using This Gadget? If yes, then it's most likely related to your job or profession – maybe your survival. If no, then the gadget is most likely a luxury item that you want to buy for your personal use. This helps make it clearer whether you really need or simply want the tech gadgets you're looking at. Why money? Because money is something quantifiable. You can't put a number on happiness, satisfaction, or peace of mind. These are abstract concepts that can be easily modified to suit what we want to see. If your monthly income was boosted by $1,000 after buying a $100 gadget, then that means you really made money from the gadget. If your monthly income stayed the same after buying a $300 gadget, then the said gadget didn't help you make money. The numbers will tell you the truth, whether you love or hate whatever you bought. 2. What Does The Gadget Claim To Do? A lot of cool gadgets out there rely more on marketing spin than actual utility. This is why you need to take a long, hard look at what the gadgets claim to be able to do, then compare it to the specifications of said gadgets. Read the label, scrutinize the packaging, and inspect the manual. This helps you better temper your excitement for a particular gadget. Sure, you may be wowed by a power bank that claims to keep all your gadgets juiced up for the day. That excitement, however, will be tempered when the bank in question is only capable of storing 2,200mAh – even less than the battery capacity of your smartphone. Look at the specs, not the marketing materials, and you'll be able to get a better grip on what a gadget can really do. 3. What Are The 'Guts' Of The Gadget? This is related to the previous question, as this is the part where you examine the internal and external components of the gadget. Materials, specifications, product dimensions – all these help paint a clearer picture of what to expect from tech gadgets. This will be especially useful if you have a point of reference to work with. For example, your current smartphone may have 1 gigabyte of RAM, a 1.3 GHz processor, and 512 MB of internal storage. Now you're looking at a phone with 2 gigs of RAM, a 2 GHz processer, and 4 gigabytes of internal storage. You will know for certain that the new phone should work faster while storing more apps and programs than your current phone. 4. How Does It Compare To The Competition? Electronics and tech gadgets alike always – always ¬– have a competing model. Put them side-by-side, check which offers the best specs and the best deals, and you'll be able to make a decision based off of multiple points-of-reference. Before committing to a purchase, it is much better to check for similar gadgets within the price range you plan to work with. Let's say you have a $300 budget for a tablet computer. With this value in mind, check the specs of as many tablets as you can that stick within that price range. Make sure to check out other sources as well. You would be surprised at how much of a price difference you can get by shopping with different retailers. 5. How Long Do I Plan To Use It? Let's face it: all the latest gadgets have a lifespan anywhere between one to five years – with five years being the upper ceiling due to degrading materials and obsolete technology. Just remember that tech gadgets are not antiques or heirlooms. They have a finite lifespan, and won't work for the next generation. This is especially important to remember when it comes to gadgets for emergencies. Power banks, flashlights, GPS trackers, alarm systems – these gadgets tend to be overlooked through the years. The last thing you want, however, is to find these gadgets unusable when they are needed the most. This is why you need to check these gadgets in regular intervals. Once a week is ideal, though once a month will work for hardier gadgets. 6. When Is The Next Model Coming Out? Speaking of a gadget's lifespan, it will be extremely useful to know the release schedule of the gadget's manufacturer. If you want new gadgets with the latest features, buy the gadgets that have been released in the past two, three months. If you want to save money, buy a gadget right after an upgraded model has been announced or released. 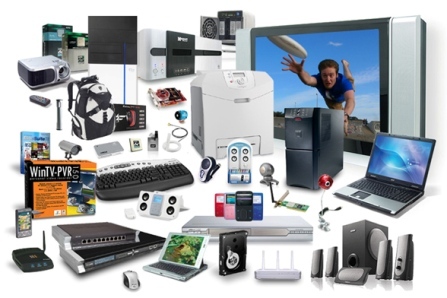 Consumer electronics tend to get new models every one to two years. These include smartphones, tablets, laptops, and the like. Larger gadgets that are almost like appliances – desktop computers, vacuum cleaners, smart TV sets and the like – tend to get upgraded every three to five years. If you're not entirely sure, do some research on the release dates of previous models. You can use this information to guess when the next model is coming out. 7. What Are Other People Saying? This is somewhat related to the previous question, except that now you'll be hunting for the feedback of other people. Simply typing the model name of your gadget into a search engine followed by "review" ought to reveal a lot of useful information (what is a search engine?). Compare the praise against the criticism, and see if you can live with the ups and downs of a particular tech gadget. Just be mindful of negative biases and fake reviews, though. Satisfied customers rarely write a glowing review, but angry customers tend to write negative reviews to vent and to warn off other customers. Shady companies post fake reviews on their websites to artificially boost scores. This is why it is better to rely on testimonials and respectable gadget critics instead of aggregate scores when it comes to product reviews. 8. How Will It "Talk" To My Other Gadgets? Over the Internet? Via Bluetooth? Via USB? Via micro-USB? This is an important question to ask, especially since many of the latest tech gadgets fit into an increasingly smart ecosystem of gadgets. Even if it is not essential, being able to connect with other gadgets can be a convenient option to work with. Do be careful when it comes to working with secure information, however. Enhanced connectivity is not always a good thing when it comes to handling sensitive information. Bank transactions, confidential documents, work credentials – these and information like them are best used on more secure devices. In extreme cases, you may even want to work with devices that can't connect wirelessly at all. 9. How Will I Pay For My Gadget? Merchants that accept PayPal payments tend to be significantly more reliable than those that accept only credit cards. Payment services like PayPal offer protective barriers that protect you, the consumer, against fraudulent vendors. Without these barriers, you'll have fewer options when a dud gets shipped your way. Another advantage to using payment services like PayPal is that you don't expose your account details during transactions. Sensitive information like your credit card number or home address will not be required when using payment services. They'll just need an email or username. This will help prevent fraudulent websites from not only duping you, but using your payment details to get you into deeper trouble down the line. Insured shipping is an absolute must when ordering sensitive and expensive gadgets. If your gadgets are lost or damaged while in transit, the shipping insurance company will step in and cover the costs. You may have to pay extra for this insurance, but it's well worth it – especially when working with gadgets that cost upwards of $500. Just remember that shipping insurance is different from product warranties. The warranty will cover a defective product, while shipping insurance will cover damage incurred during transit. In both cases, however, you'll need to supply evidence in order to successfully make a claim. Receipts will be especially useful, so keep them all in a safe place until you can confirm that the delivery and the gadget itself all work out fine. Ask yourself these ten questions, and you'll be more likely to buy tech gadgets that are useful and relevant. They'll help you avoid working with broken gadgets or snapping up items that you'll not hide away in your basement; never to be used again. Oh, and the most important – these questions will help make sure that your money will be well spent! Chinavasion is a Hong Kong-based china wholesale company sourcing its tech gadgets straight from Shenzhen, the manufacturing heart of China. Retailers and consumers alike will be able to avail of a wide array of high-tech gizmos, from mini projectors and CCTV systems to Android smartphones and Windows PC sticks.